Column: The column is designed with large box structure, it has strong rigidity, ensure the stability of the machine, suppress the vibration of processing, ensure the stability of processing. 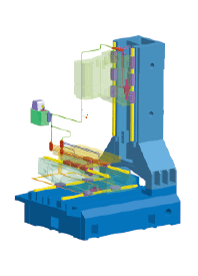 Chain type magazine: Simple modular tool operation mechanism, accurate positioning, very low failure rate. The maximum tool weight is 15kg, the maximum tool length is 300mm, and the maximum tool diameter (without adjacent knives) is 229mm Switching time: 4 seconds. 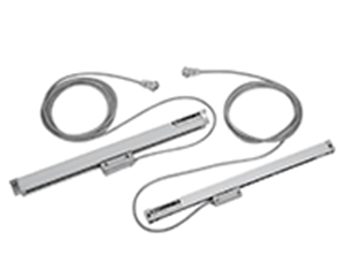 Spindle: The direct-link spindle and belt spindle are designed with ZF gear box ,which can be matched by customers according to their own needs. Base: The installation span of the line rail and column with ultra-wide base, as well as the rigidity of the joint surface of the bottom of the pillar and the integrated structure of the base are good, which can restrain the leaning forward of the machine platform. The v-shaped floor structure design of the base increases the rigidity of the base and reduces the weight of the base. 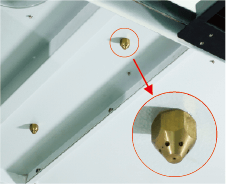 Ball screw: Each ball screw is pretened to achieve the minimized hot deformation and the guaranteed permanent strength. 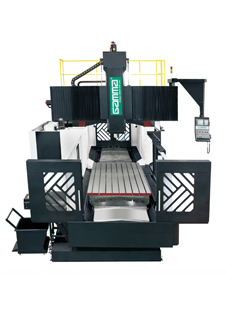 Head Stock: The structure strengthening design of uniform intercostal plates in the direct-link spindle makes the machine head have great bending and torsion resistance. 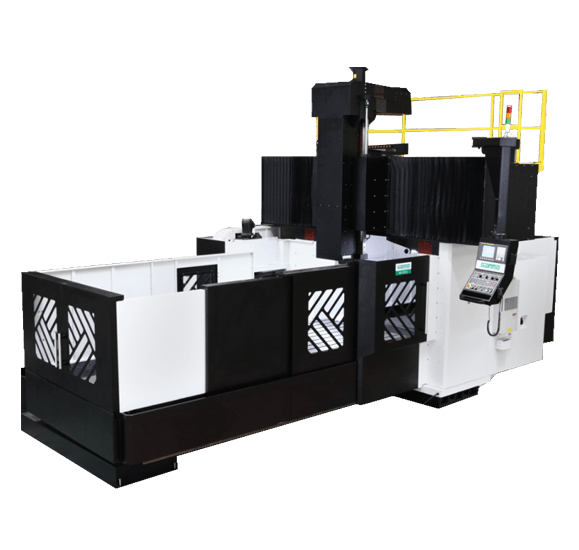 Nitrogen balance system: Z-axis uses the nitrous oxide balance system, which acts steadily and smoothly without shock; Even though the sudden power failure occurs without early warning, the headstock will not move down to ensure the tool life and the safety of workpieces. Table: The structural design of the internal ribs in the workbench,not only does it reduce the weight of the table,in addition, the rigidity and carrying capacity of the workbench itself are strengthened,more ensure the accuracy of the machine tool processing. Half cover sheet metal：The machine is covered with sheet metal around the machine, which can effectively prevent the spatter of processing iron scrap and ensure the safety of processing. 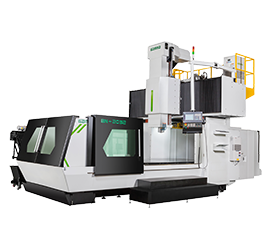 The front end and operation side Windows and Windows are designed to facilitate the lifting of workpieces and the operation of the machine table. 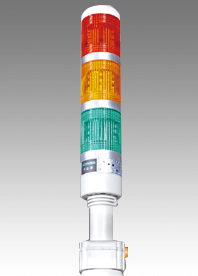 Warm and soft daylighting：One explosion-proof light is reasonably arranged on the two sides of the machine to fully ensure adequate lighting and protect the eyes from strong light. Heat exchanger：The installation of air conditioner cooler can keep the temperature in the electrical cabinet constant to effectively stabilize the operation of control system. Movable handwheel：Movable handwheel The movable handwheel device is used, being convenient to operate and set. 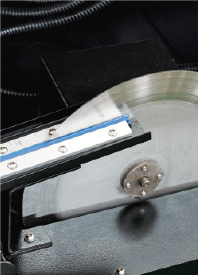 High efficiency double screw rod chip removal：The strip, block and particle chips cut from the metallic and nonmetallic materials can be effectively removed, and the internal chips can be cleared in the machine. 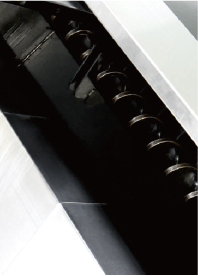 Automatic Lubricating System：The strip, block and particle chips cut from the metallic and nonmetallic materials can be effectively removed, and the internal chips can be cleared in the machine. 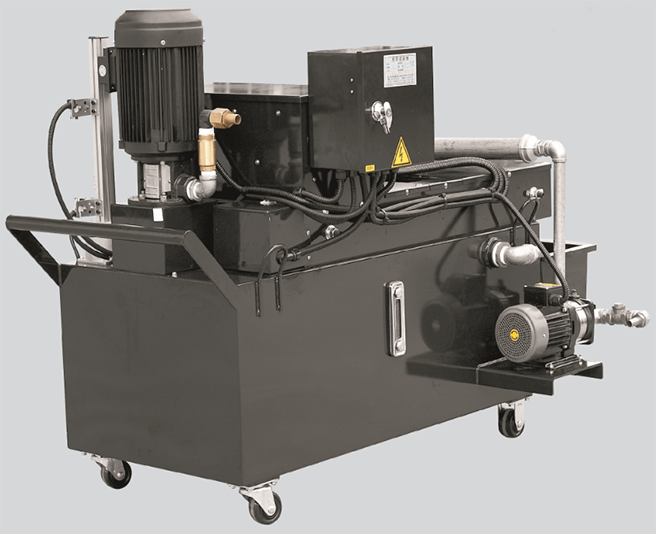 il-water separator：The oil-water separator separates the oil from the mixture in the event of oil-water mixing, and ensures the quality of cutting fluid. The recovered oil can be reused to save the cost,protect the environment. 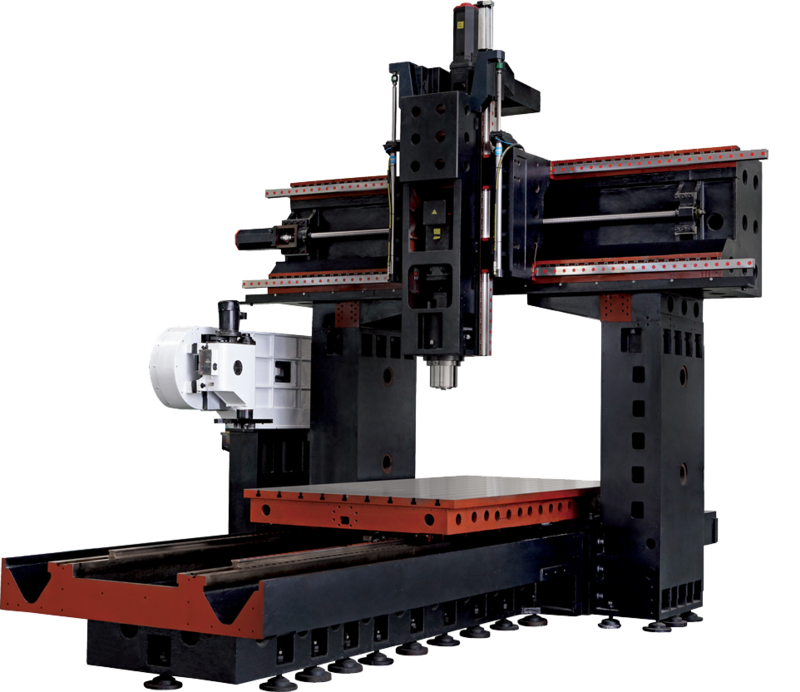 Even though the sudden power failure occurs without early warning, the headstock will not move down to ensure the tool life and the safety of workpieces. 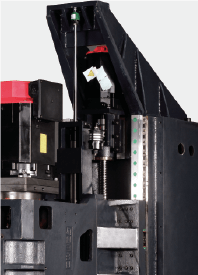 Vetical-horizontal magazine：Simple modular tool operation mechanism, accurate positioning, very low failure rate. Hydraulic station：All components are designed centrally, with high rated pressure, compact structure, high efficiency, easy flow adjustment, and flexible movement. Main coolant Through Fluid, suitable for deep bore drilling, adequate cooling. Automatic fire extinguishing device：The new automatic fire extinguishing device realizes the automatic fire detection and the automatic fire extinguishing for the machine and has working stability, reliability and safety. 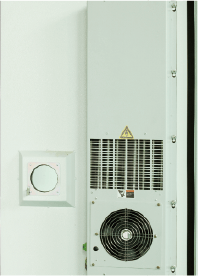 Automatic safety lock：The processor cannot start when the security door is not closed,it is to ensure operator safety. 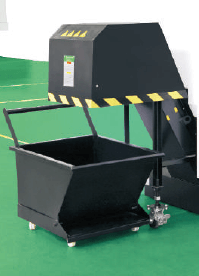 When the safety door is opened during processing, the processing program will stopped to protect the operator. 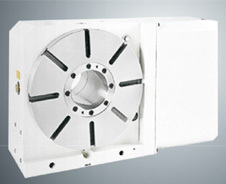 Fourth axis：It uses the high-precision gear for positioning to ensure that the partitioning precision is ±5 seconds. 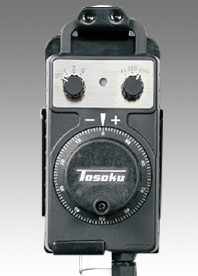 It has a precision structure assembled coupler not to float when partitioning. 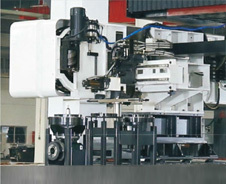 In combination with the fourth axis, it can machine multiple surfaces and reduce the non-machining time when the workpieces is loaded and unloaded. Optical ruler：The X/Y/Z axis can be equipped with an optical ruler system, which can detect the thermal displacement caused by the rapid displacement of the machine,and feedback the value displacement to the controller for compensation, it is suit for the high precision parts. 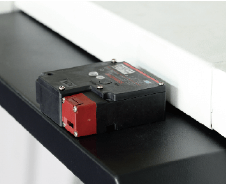 Balance system Nitrogen Balance System，Reducing the Z-axis servo motor load, and extending the screw life.